78. Support state, national, and international Important Bird Areas. Although all natural habitat supports birds, some areas have greater significance than others in providing breeding or wintering habitat or serving as essential migratory stopovers for bird populations as a whole. To help prioritize habitat protection, the National Audubon Society and BirdLife International are working together to identify a network of the most critical sites. This effort is known as the Important Bird Area (IBA) program. The IBA program in the United States and Canada works through partnerships with local, state, provincial, and national organizations, especially the North American Bird Conservation Initiative, to identify those places that are most critical to birds. The international IBA program is a global effort to identify areas worldwide that are most important for maintaining bird populations, where conservation efforts should be focused. In the United States, the IBA program has become a key component of bird conservation programs such as Partners in Flight, the North American Waterbird Conservation Plan, and the U.S. Shorebird Conservation Plan. 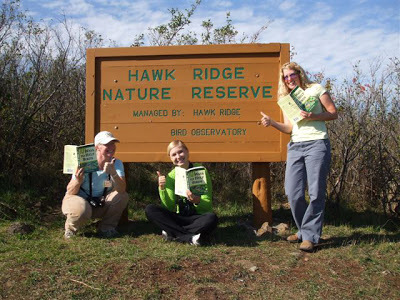 You can help identify, monitor, and conserve Important Bird Areas through volunteer action and contributions. Audubon suggests ways that you can get involved, including nominating sites that might fit IBA criteria; volunteering on projects to monitor populations, restore habitat, or eradicate invasive species at an IBA; advocating for changes in laws and policies that would benefit birds of concern at IBAs; developing birding field trips to IBAs in your area; and making financial contributions to your state’s IBA program. One of the most novel ways of financially supporting the IBA program was devised by Wisconsin birder Noel Cutright, who in 2004 conducted thirty-three consecutive Breeding Bird Surveys in Ohio, Michigan, Wisconsin, and Minnesota as a “birdathon” endeavor, raising pledges in a well-publicized effort called his “QUad 30 Campaign.” As of this writing, Cutright has raised a total of $49,460.04, earmarked to support the IBA program.